Thank you, Lindsey, for hosting the Green Gables Readalong! I have had so much fun over the last 8 months re-visiting my favourite childhood books, and discussing them with other bloggers. 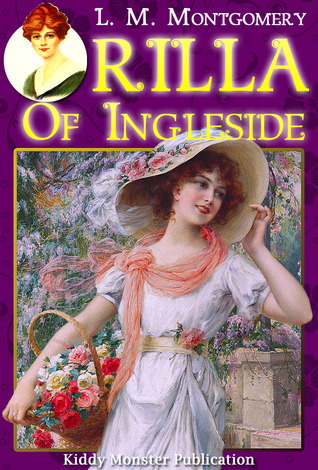 Last, but by no means least, is Rilla of Ingleside. 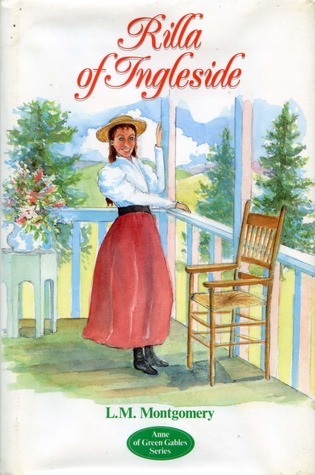 If you want to catch up on the rest, here are my reviews for the first 7 books: Anne of Green Gables, Anne of Avonlea, Anne of the Island, Anne of Windy Poplars, Anne’s House of Dreams, Anne of Ingleside, and Rainbow Valley. 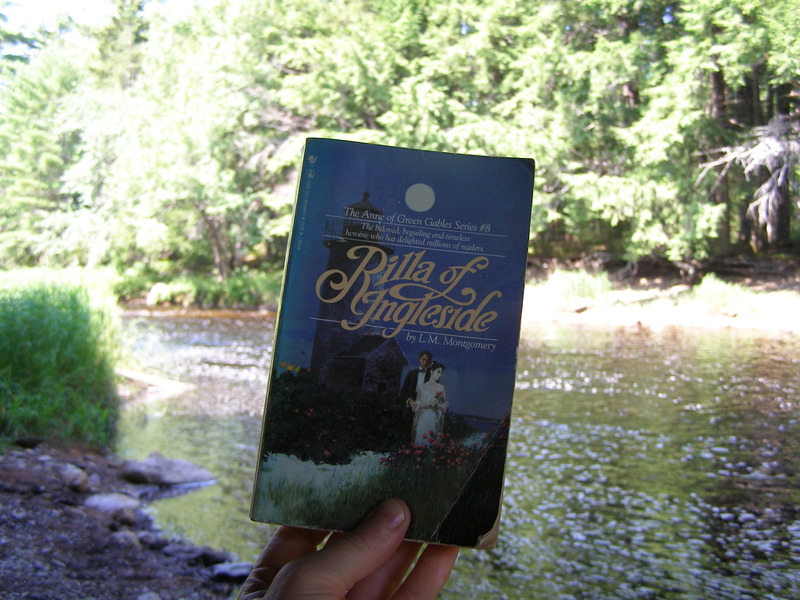 I read most of this book sitting in the campsite or at the lake. First, let me just say this: even if you hate Anne (I can’t imagine, but you know…), or have not read any of the first 7 books (what are you waiting for? 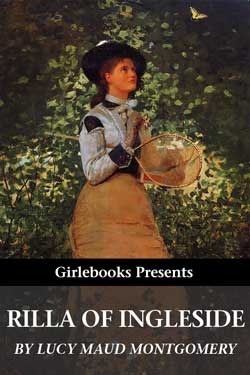 ), or haven’t wanted to read about Anne as an adult (understandable), you should still read this book. I wish I had re-read it sooner. Obviously, the last time I read it I was too young, because I can’t remember it taking such a hold on me. I loved it, yes, and it saddened me, yes, but it didn’t make me reflect on life like it did this time. So many things must have gone right over my head. 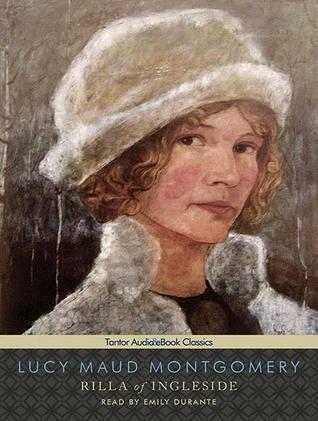 Montgomery does a wonderful job conveying to her readers what it was like on the home front during the First World War. And, as always, she is brilliant at mixing up the laughter with the tears (in this case, the tears with some laughter). If you want to read a review that includes some of Montgomery’s own thoughts about the book and the war, visit Buried In Print. October passed out and the dreary days of November and December dragged by. 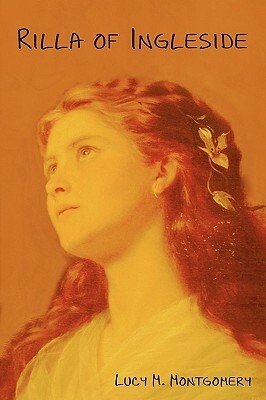 The world shook with the thunder of contending armies; Antwerp fell – Turkey declared war – gallant little Serbia gathered herself together and struck a deadly blow at her oppressor; and in quiet, hill-girdled Glen St. Mary, thousands of miles away, hearts beat with hope and fear over the varying dispatches from day to day. It’s 1914 and Jem has just finished his first year of medicine at Redmond. Walter, Nan and Di are heading off to Redmond College, Shirley to Queen’s Academy, and Rilla will soon be turning 15. 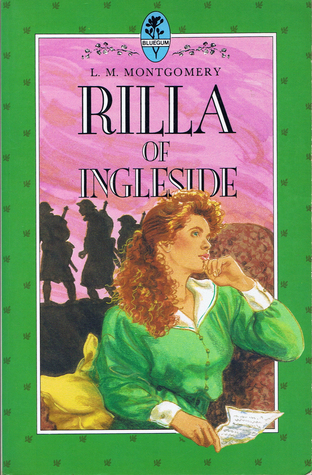 Rilla is the protagonist in this last book of the Anne series. 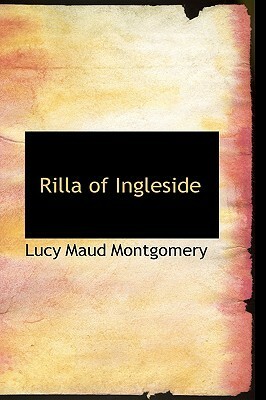 In the 4 years that make up the First World War, Rilla goes from a silly 15-year-old girl to a responsible 19-year-old. From a third person perspective, as well as some of her diary entries, we get to watch it happen. 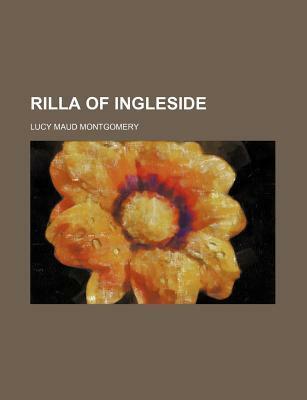 But, over the course of the next four years, Rilla proves that she has a lot of ‘pluck’. 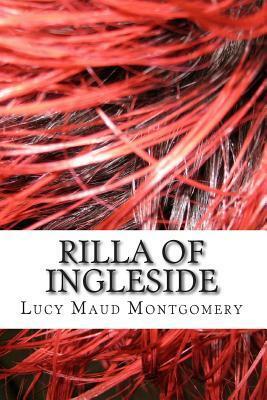 And what hurt most is that Rilla’s laughter had grown so rare – Rilla whom she used to think laughed over-much. Was all the child’s girlhood to be so clouded? Yet how strong and clever and womanly she was growing! The body grows slowly and steadily but the soul grows by leaps and bounds. It may come to its full stature in an hour. 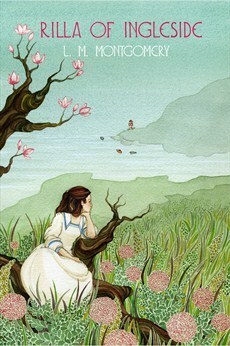 From that night Rilla Blythe’s soul was the soul of a woman in its capacity for suffering, for strength, for endurance. If Rilla is ‘plucky’, Susan Baker is a ‘brick’ (and that you may tie to!). This book wouldn’t be the same without Susan and her commentary on every aspect of the war. Susan’s comments and opinions of the war help to keep the tone of the book from getting too heavy. Several times I found myself laughing out loud. 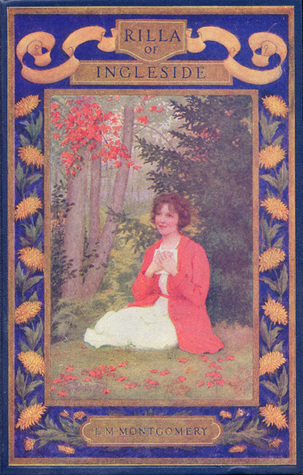 Susan, standing on a load of grain, her grey hair whipping in the breeze and her skirt kilted up to her knees for safety and convenience – no overalls for Susan, if you please – was neither a beautiful nor a romantic figure; but the spirit that animated her gaunt arms was the self-same one that captured Vimy Ridge and held the German legions back from Verdun. 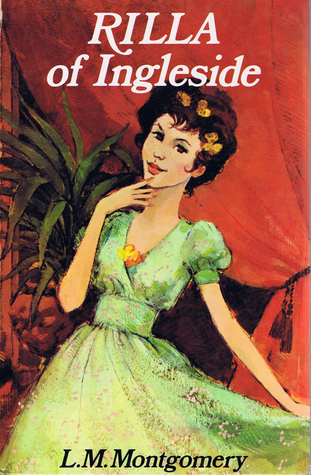 Anne was in this book more than I remember, as well as more than in the last two books. She represents the mothers of all the soldiers gone off to war; brave, industrious, and terrified. All three of Anne’s boys end up going to war, but Walter’s character gives us the most to think about. Jem went cheerfully at the beginning when they thought the war would be over in a few months, and Shirley didn’t go until the end. But, Walter was terrified of going. He was not afraid of dying, but he was afraid of killing, scared of the horrors he would see, and scared of the pain that he might feel. But, in the end, he needed to follow the Piper. 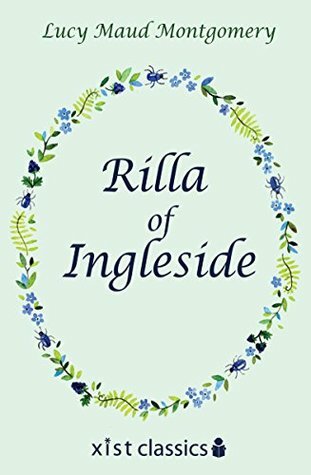 Much to my amazement, I don’t remember anything about the fact that Rilla, at the age of 15, finds a newborn baby without a mother, brings him home, and raises him herself over the next four and a half years. How can I not remember that? 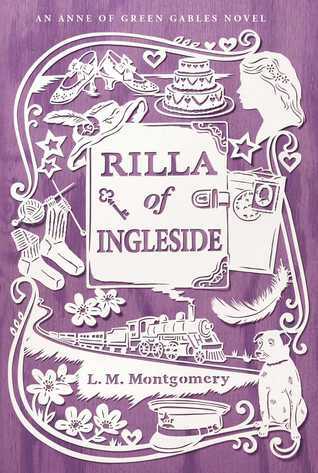 I was probably younger than Rilla the last time I read this book – maybe I thought it was no big deal? So Jims becomes a part of the household, in the same way we might bring a pet home. Gilbert makes it very clear from the beginning that if he is to stay, Rilla must do all of the work. So, despite the fact that she does not even like babies, she does. Jims’ little speeches and escapades also help to lighten the mood. Dog Monday is like the icing on the cake – he makes this book extra special, and just thinking about him chokes me up. When Jem goes off to war, everyone comes to see him off at the train station, including his faithful dog. But, once he’s gone, Dog Monday refuses to go home. He stays at the station and meets every train for the next four and a half years, waiting for Jem to come back. I feel like Dog Monday’s faithful vigil symbolizes the whole world’s wait for the war to be over; hoping it might be today; having faith that it will come. … foolish and absurd or not, they all plucked up heart and courage to carry on, just because a faithful little dog at the Glen station was still watching with unbroken faith for his master to come home. I had to think about this book for a while before I was able to pick up my next one. I thought about the sacrifices made by everyone, and the courage needed to make them. And, I thought about what Walter calls ‘keeping faith’. If the soldiers could see us now, what would they think; would they be satisfied, or disappointed? There is so much more in this book I would love to talk about, but I will just mention them briefly (mostly for my own benefit). 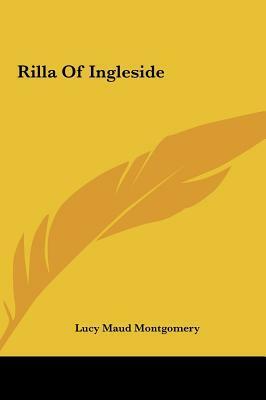 The Meredith family are still very much a part of this book, and there’s Gertrude Oliver, Dr. Jekyll and Mr. Hyde (for some more comic relief), Rilla’s trial and tribulations with the Junior Red Cross, the war-wedding and Sir Wilford Laurier’s fit, a chronicle of all the major battles of the war, the sinking of the Lusitania, Fred Arnold’s big nose, Una’s secret sorrow, Woodrow Wilson and his notes, Anne’s mayflowers, votes for women, aeroplanes, moving pictures, conscription, Daylight Savings time and Susan’s personal clock, Susan’s first proposal, poor little Stripey(! ), and Rilla’s romance with Kenneth Ford. 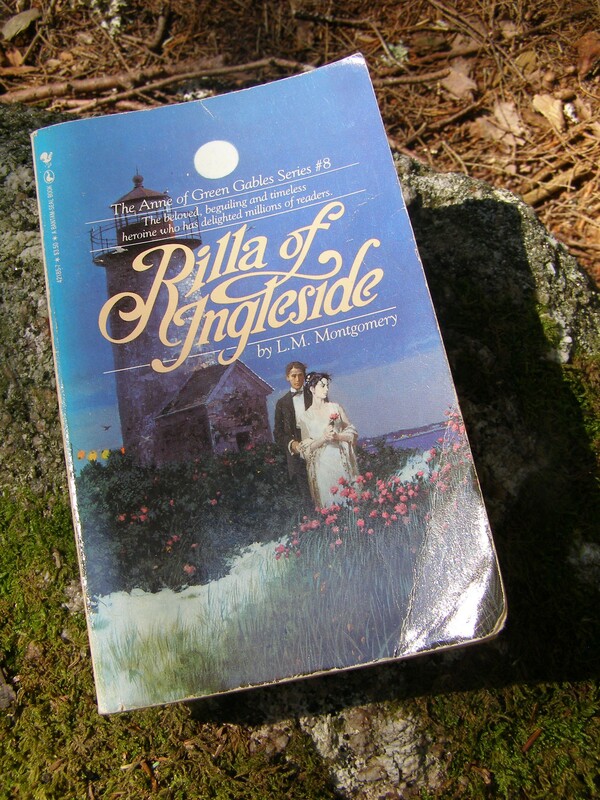 In my memory, Rilla’s romance plays a much bigger part in the book than it really does. But that’s as it should be. What this book is really about is the roles and courage of those left at home wondering and worrying about the war overseas; when it will end, and how it will turn out. I read some of the most emotional parts of the book while waiting for my kids to come down this river on their floaty tubes. The book helped to distract me from worrying about the fact that they were taking so long, but I also hadn’t brought any tissues with me. So, I was very thankful for my sunglasses. It’s been so lovely to meet you through the Readalong, Naomi! It’s also been fun to discover that we’re reading a lot of the same authors, including Beth Powning and Carol McDougall. 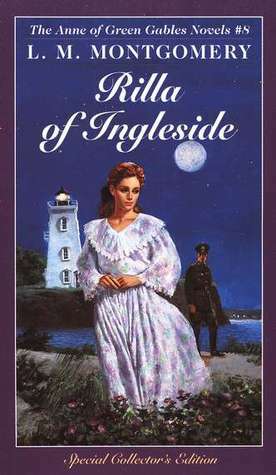 I always enjoy your survey of the covers for Montgomery novels. 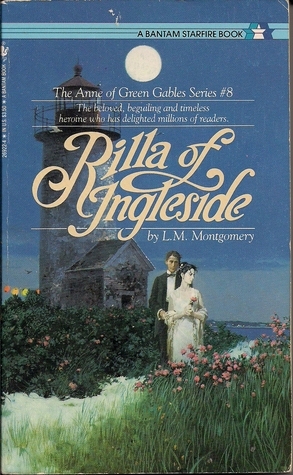 My McClelland and Stewart copy of Rilla has a green background and a 1970s image of Rilla at the mailbox holding a letter and a bouquet of daisies. 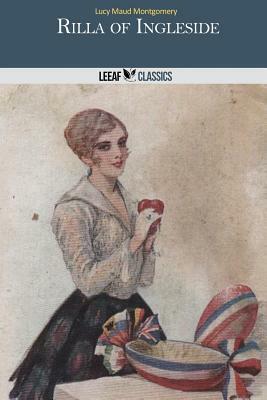 I’m excited about rereading the book and comparing it with Edith Wharton’s novel A Son at the Front, which similarly deals with domestic life during the Great War. 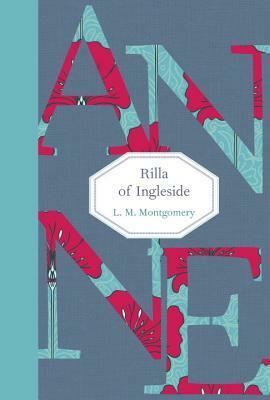 Like you, I had totally forgotten that Rilla brings home a baby and raises him herself, something that requires a great deal of courage — I’m particularly interested in what Montgomery has to say about the courage of both men and women in the novel. I’d better start reading! P.S. My book group met on Wednesday to talk about Darren Greer’s Just Beneath My Skin. One member loved the book and praised it highly. The other two of us enjoyed it, but couldn’t help comparing it to Sweetland, and we decided we would have voted for Crummey’s novel over Greer’s. None of us has read the David Adams Richards novel that was also shortlisted for the Raddall this year. (We’ve talked about reading that one, but first we’re going to focus on Carol Bruneau’s These Good Hands and Carol McDougall’s Wake the Stone Man.) Everyone loved the long sentence about summer in Nova Scotia that appears near the end of Just Beneath My Skin, and which you quoted in your review. Thanks for your thoughtful comment, Sarah. It has also been wonderful to meet you, too! It’s funny that your copies of the books keep sliding under my radar – I couldn’t find it even doing a quick google search (I will try again after this, because I need to see it). I’m hoping that you’ll be comparing the two books on your blog after reading them, so that I can see what you have to say. Now, you have me wanting to read the Edith Wharton book, as well! I just couldn’t help comparing Greer’s to Sweetland, too. But, it was good on its own, and I recently had Still Life With June recommended to me as one of this person’s favourite books. So, I have that one on my to-read list. I can email you a photo of the M&S covers for Rainbow Valley and Rilla — my address is semsley at gmail dot com. 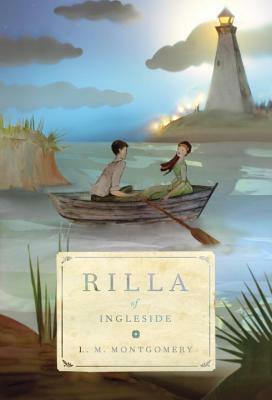 Even though I was thinking about similarities between Rilla and A Son at the Front, I wasn’t planning a blog post. But now I’m thinking about it, so thank you for the suggestion! I liked Carol Bruneau’s Glass Voices a great deal and I always think of it on the anniversary of the Halifax Explosion. (If you’re interested in my review of it I can send you the link.) That’s great that you’ve found a book club you enjoy. Let me know if you’d like to come to one of our meetings sometime to compare notes about Greer, Crummey, and McDougall. We usually meet at the Halifax Central Library. Thanks for the invitation to your book club! I’m not often in and out of the city (especially without the kids), but I will keep it in mind. The new library is the perfect place to meet! Funny how the romance looms larger in your memory; I think, had I read this one as a girl, that I would have had the same idea. 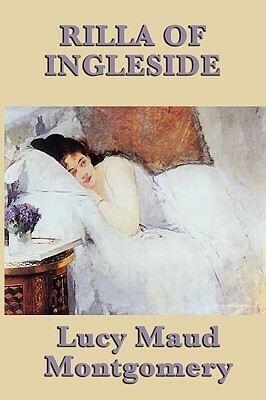 And I suppose it was generous of LMM to give readers that respite (herself, too, always in search of a happy ending on the page, since there was so much disappointment in her own life). Yes, Stripey! I can’t imagine a child as sensitive as Bruno was supposed to be being able to do that. I think I would have been horrified at him. Dog Monday really did put the book over the top for me – good animal stories have a way of doing that. Oh, my, I had totally overlooked Susan’s proposal in my own recap! I loved the role Susan played in this one. Loved your Walter quotes. I selected some that were similar. As always, your covers were quite enlightening and entertaining! I thought it interesting that Montgomery included so many details of the war battles, etc. I am never very interested in all that, so I think I overlooked most of that, too! Thanks for reminding me of these things! I loved that Montgomery included many of the battles and other war news in the book. It reminded me of when they happened, and how major they were relative to each other. Wow, so many beautiful and weird covers. I’ve only read the first book and was sad I couldn’t join this read-along. Maybe reading the series will have to be a goal for next year.